Known for its white sand beaches and turquoise waters, El Nido located in the municipality of Palawan island in the Philippines has grown in popularity over the years, especially after being named from high profile publications as having some of the most beautiful beaches in the world. I had the opportunity to visit El Nido for a few days last October and fell in love with this laid back beach town. Although I visited in rainy season and didn’t see much sun while I was there, it definitely tops my list of one of the most beautiful places I’ve been. I’ve put together a guide for El Nido to help give you some advice for planning your visit there, including how to get there, where to stay, where to eat and what to do. Enjoy! For starters you can fly directly into El Nido via Air Swift from Manila or Cebu and take a 20 minute tricycle ride from their small, tropical airport. This route is the most expensive option for getting to El Nido but if you are short on time it can be a great option. A buffet of snacks is available at the open-air private airport, and you will get a special greeting and farewell by local singers. Flights are around $130 USD one way. The cheaper flying alternative to the option above is flying from Cebu or Manila to Puerto Princesa Airport (multiple airlines make this journey). From the airport, you will have to drive 220 km to El Nido. You have the option between taking a van/shuttle, which will take around 5-6 hours and cost $17 USD per seat or take a local bus, which can take 6-8 hours depending on how many stops it makes ($7-$10 USD). This is the more popular option for backpackers. There are a couple different routes where you can take the ferry to get you closer to El Nido, including a route that docks in Puerto Princesa. Ferries however can make for a long journey and won’t run if the weather is being unpredictable. If you are on a nearby island, this may be an option for you, but definitely not the quickest or most popular way to go. Tickets can be booked here. 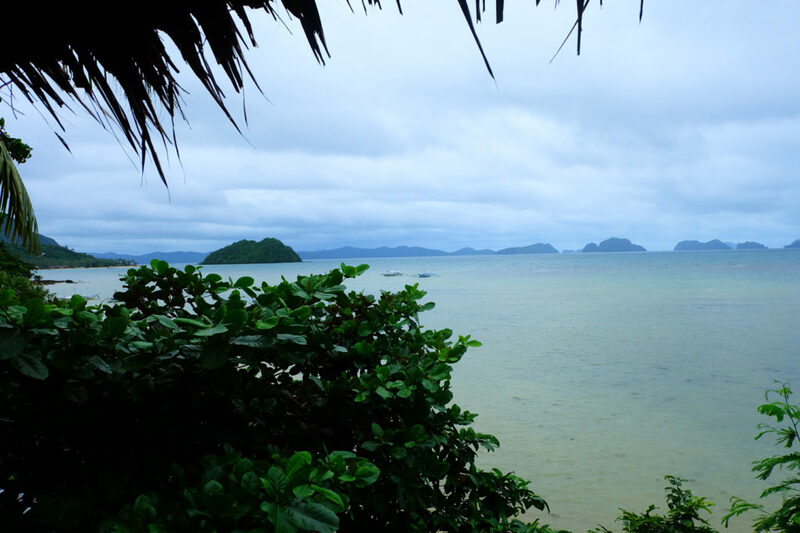 There are so many options available in El Nido for every type of traveler in terms of accommodations. I’d recommend staying in El Nido Town if you want to be close to everything but there are also accommodations available in different villages and near certain beaches around El Nido. So it’s entirely dependent on if you are looking to be more secluded or closer to the actual town. 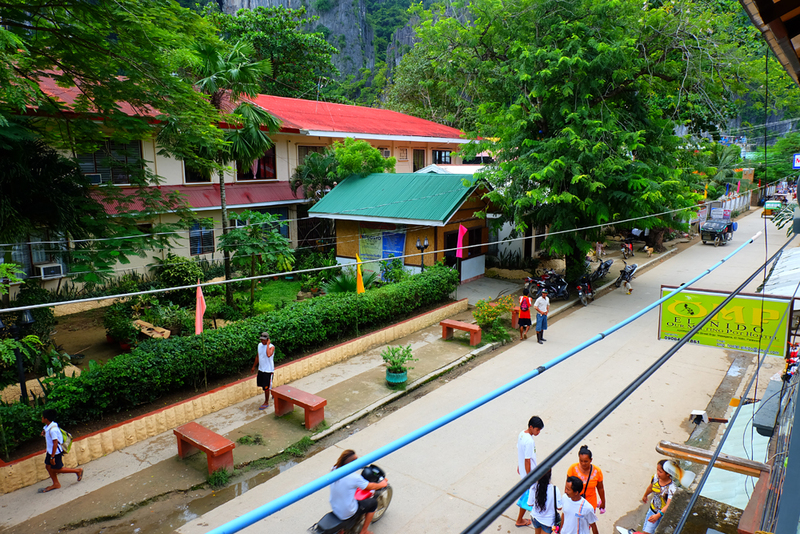 Our Melting Pot (El Nido Town): This is where I stayed on my visit to El Nido. If you’re looking for a small, simple hostel then this place is for you. Staff are welcoming and incredibly helpful and the hostel hosts several different tours and events you can join each day/night. However, rooms are basic so this is mainly ideal for non-picky backpackers. Rooms start at around $7 USD a night in a dorm. Read my full review on Our Melting Pot here. Spin Hostel (El Nido Town): A girl I met traveling had told me this is one of the best hostels she’s ever stayed in. The rooms are clean, colourful and modern and the facilities are way above average for a backpacker hostel. Rooms start at around $22 USD a night in a dorm. Outpost Beach Hostel (Corong-Corong): Located right on Corong-Corong beach, Outpost Beach Hostel is a prime spot for beach bums and sunset chasers. Conveniently located walking distance from the town, this makes for the perfect place for those looking to be even closer to the beach. Rooms start at around $14.00 USD a night in a dorm. Where 2 Next (Nacpan Beach): It’s important to note that Nacpan Beach is not easily accessible to the main town unless you take some mode of transportation. However, if you want one of the most beautiful beaches in the world to be right by your doorstep, this could be a great spot for you. Rooms start at around $6.00 USD a night in a dorm. El Gordo’s Adventure Tours & Guesthouse (10 minute walk from town): A small guesthouse located not too far from the town centre, El Gordo’s only has four rooms to choose from ranging in private or dorm style. There is a kitchen and large lounge for guests to enjoy and a large deck that overlooks El Nido bay. Rooms start at around $10 USD a night in a dorm. Note: I don’t stay in luxury hotels or resorts often when I travel so if you are looking for something other than budget accommodations listed above, I’d suggest you look at some of the highly rated resorts on TripAdvisor here. 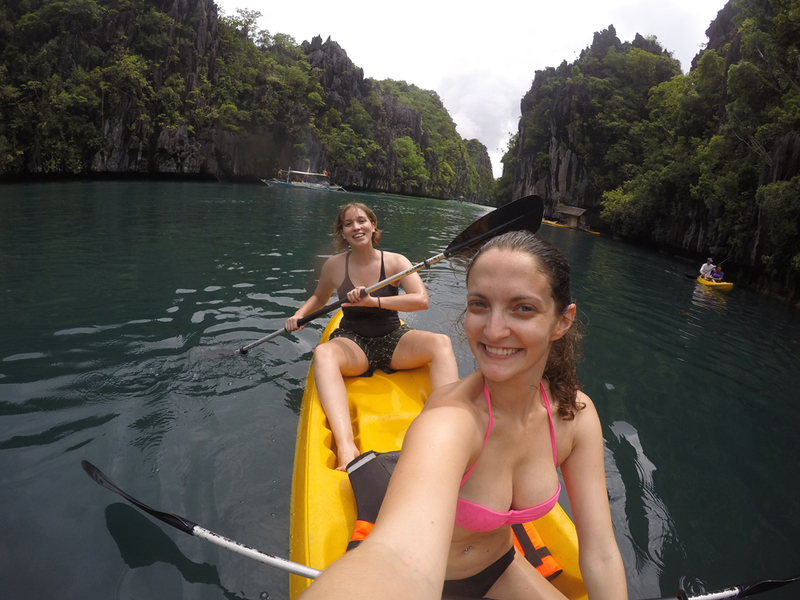 Island hopping tours: The island hopping tours are one of the most popular things to do in El Nido. 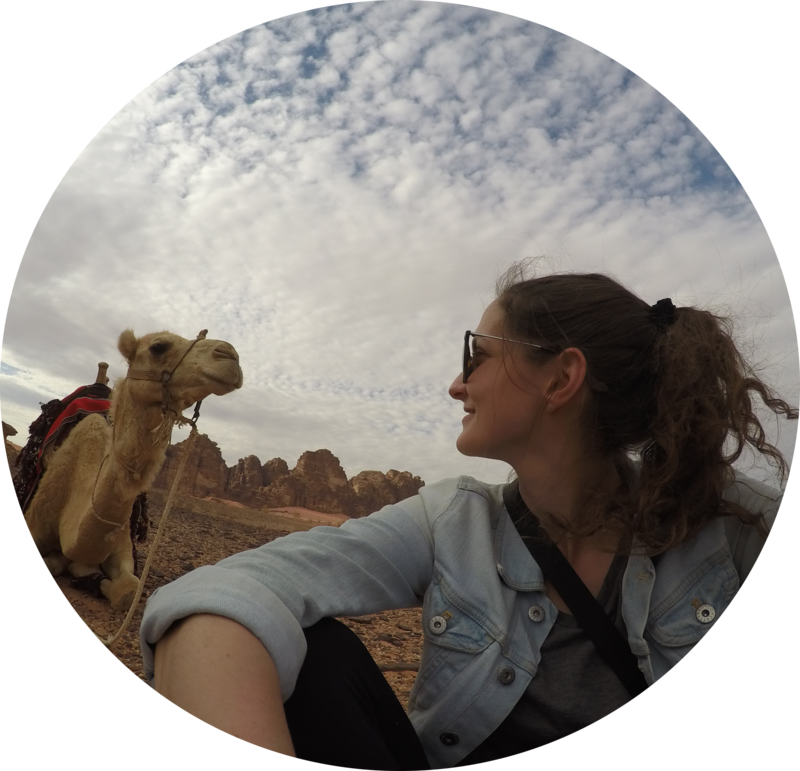 Many tour companies offer these tours so you don’t have to worry about booking in advance. 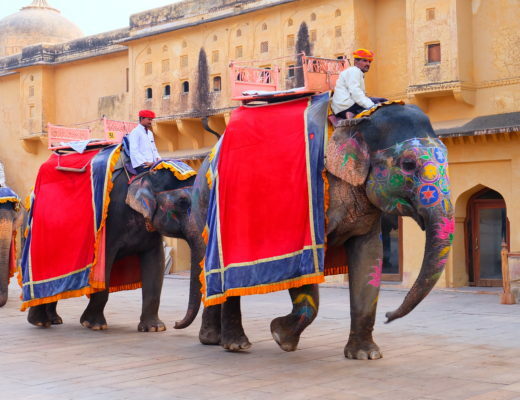 Most operators offer tour packages A, B, C and D but A and C are the most popular. 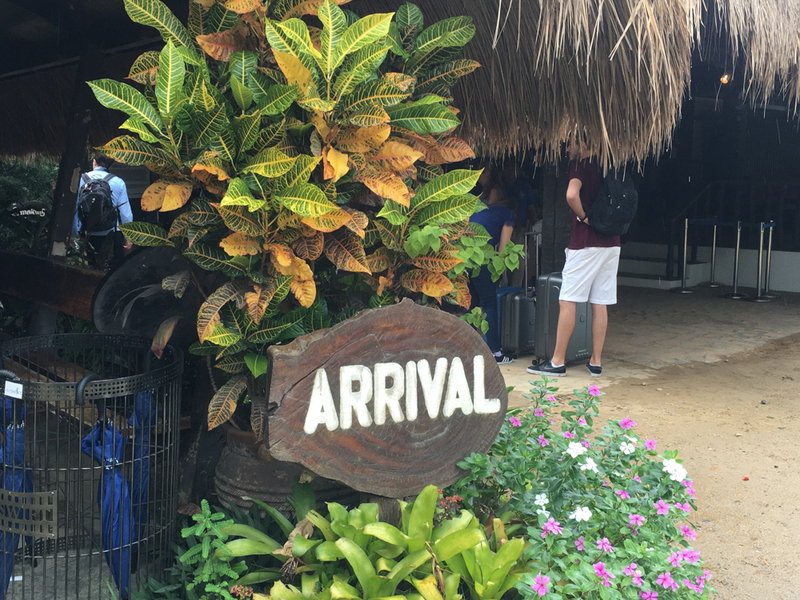 Read about my island hopping experience here. Surfing: What better way to enjoy the turquoise waters than trying out your surfing skills? El Nido is home to many great surfing sites. Duli Beach is a common surf destination and several locals can rent you the equipment or offer lessons if you’re looking to take on the waves. Enjoy the beaches: El Nido is home to some of the most beautiful beaches in the world, and many people visit El Nido and are quick to roll out on an island tours and skip the beach lounging. Nacpan Beach (also known as the Twin Beaches) is a popular destination, as well as Seven Commandos Beach. Hiking Taraw Cliff: Taraw Cliff is one of the most infamous hiking spots in El Nido however it’s not said to be an easy one. You will have to climb up the sharp and steep limestone rocks to get to the top where you can then enjoy the incredible views. Note that it’s not advised to do this hike without a local guide. Read A Wanderful Sole’s ultimate guide on this hike here. Scuba diving: Home to over 30 dive sites, El Nido is a great place for you to enjoy underwater life. You can also do PADI certification courses in El Nido too. Check out Palawan Divers for all the details. Nagkalit-kalit Waterfalls: Another great hike to venture on inland in El Nido. 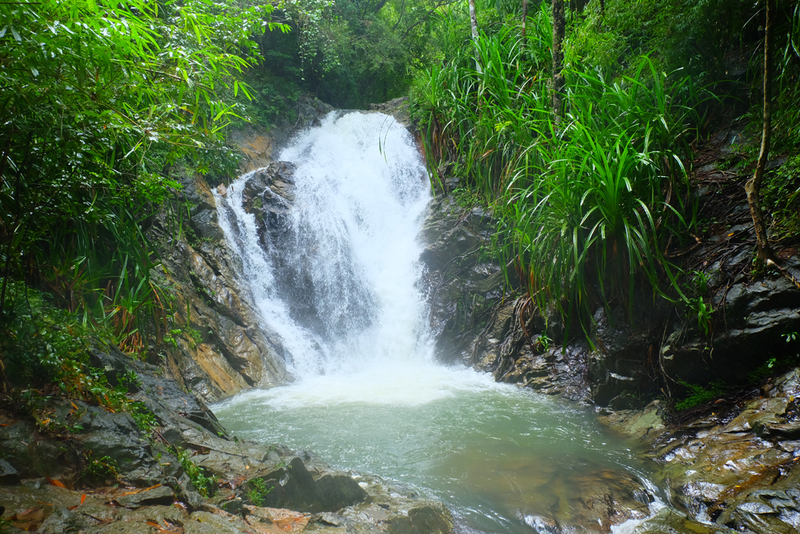 These waterfalls are only a short tricycle ride away from the town centre. You’ll have to hire a guide once you arrive who will take you through beautiful lush forest to get to the waterfalls that you can also swim in. 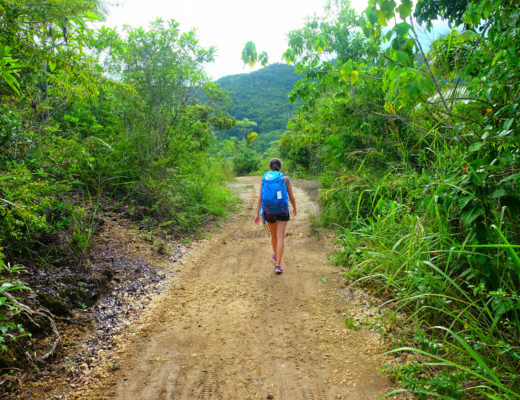 The hike is around an hour long and is fairly simple but you will have to walk through rough trails. 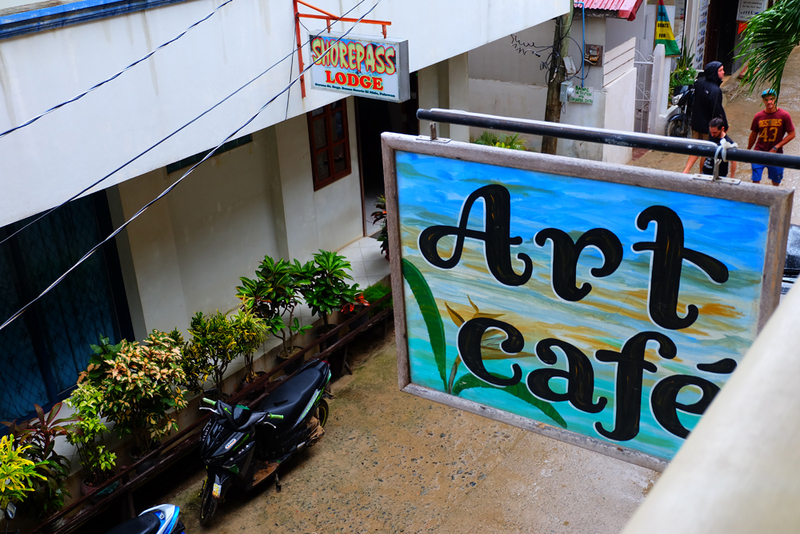 Art Cafe: Coined as the place that every backpacker will end up at some point in El Nido, the Art Cafe is not only a great place to grab a fresh, local bite to eat but also book tours. There’s plenty of seating and literally something on the menu that could satisfy any food craving. I ate here multiple times on my visit and was never disappointed. Squidos: Highly recommended by almost everyone who has visited El Nido, Squidos is known for their homemade pizza and also their incredible view from the hilltop. Republica Sunset Bar: Not directly in the main town of El Nido but a short tric ride away, Republica Sunset Bar is a must-visit place while in El Nido, if not for the food, at least for the view (pictured above). You can see the best sunsets from this bar and the restaurant is owned by people from Spain so their tapa menu is fabulous. Trattoria Altrove: Squidos may have good pizza but Trattoria Altrove is known to have the best which is complete with imported ingredients. Ranked number one on TripAdvisor, there’s no surprise that it’s recommended you arrive early if you want a seat for dinner! If you’re looking for more recommendations, check out Lakwatsero’s blog post on the best spots to eat here. El Nido is a bit more expensive in terms of places you can visit in the Philippines but I definitely didn’t do my three nights there the cheapest way possible. I spent around $395 USD (plus spending money) while there. The bulk of this was on my flight as I flew direct from Manila to El Nido return for $256 USD. You can learn more about how much I spent while in the Philippines here. 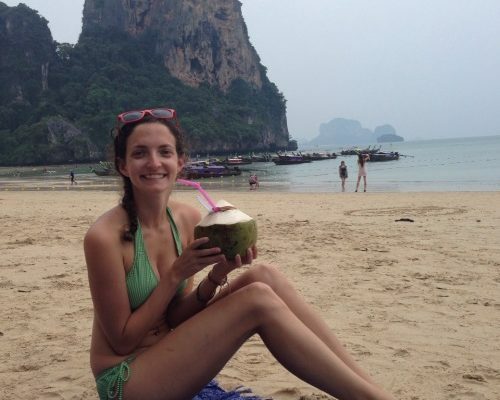 Hello Lauren, my friends and I will be going to El Nido tomorrow and we are staying at Outpost Beach Hostel. I was looking for blog reviews about this place then came upon your post. I’d been to El Nido 2 years ago but I was alone. This time I am returning with some friends but I am still as excited as the first time I went. El Nido is just so beautiful. I didn’t get to eat on a decent resto the first time so I am definitely taking notes of your recommendations. I am definitely checking out Art Cafe. Thanks for the tips. I would also recommend Dreamland Beach Cottages for those who are on a budget. It’s in Corong-Corong, near the van terminal and it’s super cheap, beach front. It was recommended to me by a tricycle driver when I came there with nowhere else to go. Super excited to go back!